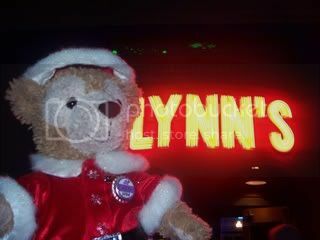 Heres Duffy on Christmas Eve, waiting to open gifts and watch a movie. Here he is packing his stuff for our trip to Disneyland Resort. He loves his pillow. 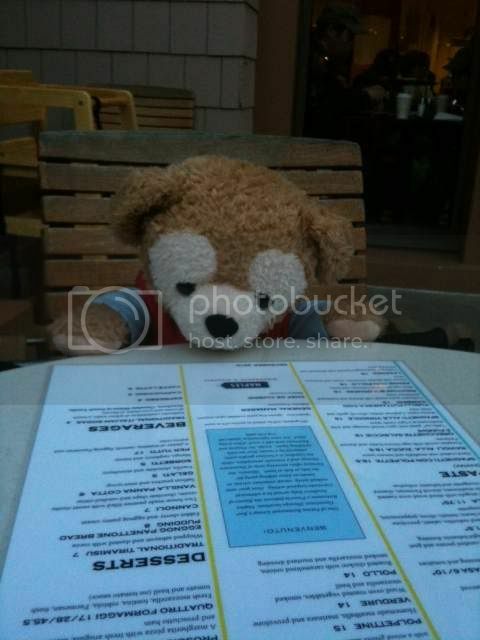 Now at DtD trying to figure out if he is in the mood for pasta or pizza? He went for the pizza. We got to ride in the front of the monorail. That was fun. Our last day. 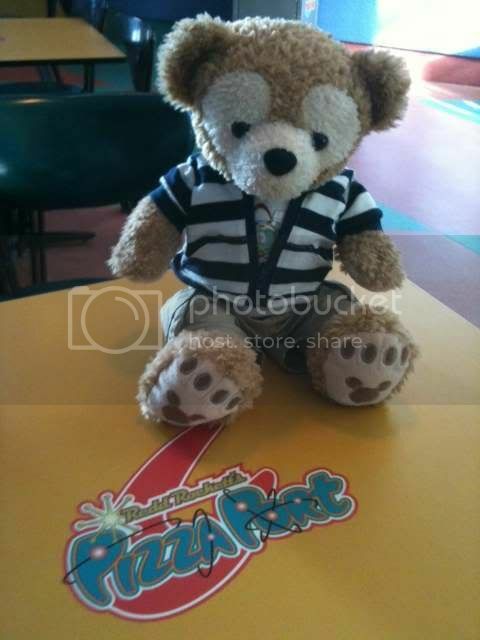 He enjoyed pasta at Pizza Port. I :love: all of these, but these three are my favorites - especially the pillow one! No...maybe especially the menu, with the looking down perspective and the puchi-puchi ears! No, wait...the monorail "swoosh" one... Man, that Chinese version's* face is just TOO cute! And very, very rare! Even the ones made in China never look like that anymore. You are so lucky! He's from China. I didn't know they were made in different places so that is why they look different. I too love love this look on Duffy. I wish they made him like this all the time. He has a cute sweet face. I too like the pillow photo. Duffy loves his pillow. 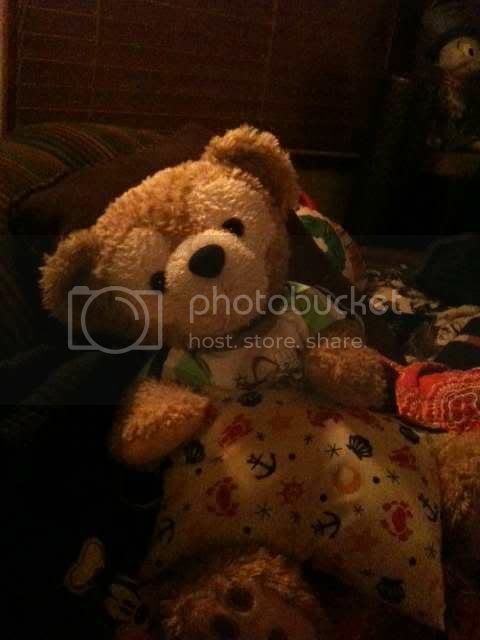 Did you notice that Duffy went out in his PJs? I love that set and we were going to dinner then to WoC so I got him ready for bed and it also covers his feet, since I forgot shoes. I like to keep him covered when we are out, because when we were in WDW. Someone knocked into me and I dropped the ketchup I had in my hand and it went ever where. 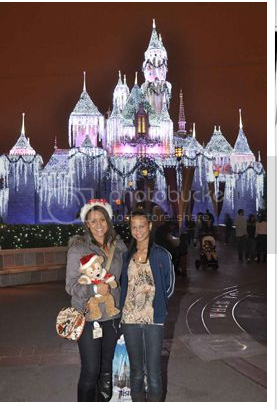 Even on the Duffy wristlet I had with me that day. Poor little guy still has a small stain. So when I know we will be where they can get dirty i cover them up. 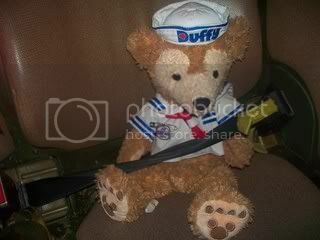 duffy got his own seat on Indy! I have to admit, I don't really like the Chinese ones. But I still love your Duffy! 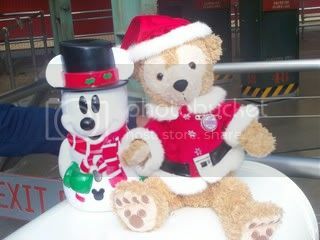 IF these are the Chinese ones, then these are the ones we're currently selling in DCA. After we ran out when he first came out, they brought in the new ones, and I noticed all of them looks much more different the initially released ones. I still LOVE your photos! Especially when he's looking at the menu! It actually looks like he's contemplating what to get! I love your photos too, flylikeadove! 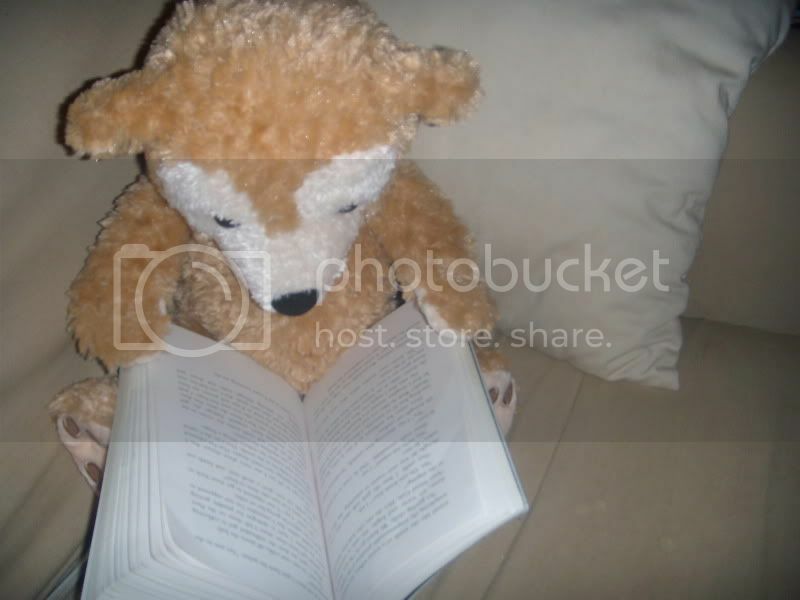 Especially the one where he's reading in front of the Christmas tree! Man I wish I had more photos to share, but I'm too busy working to bring my Duffy in for pics! I wanna try and get some more pics! 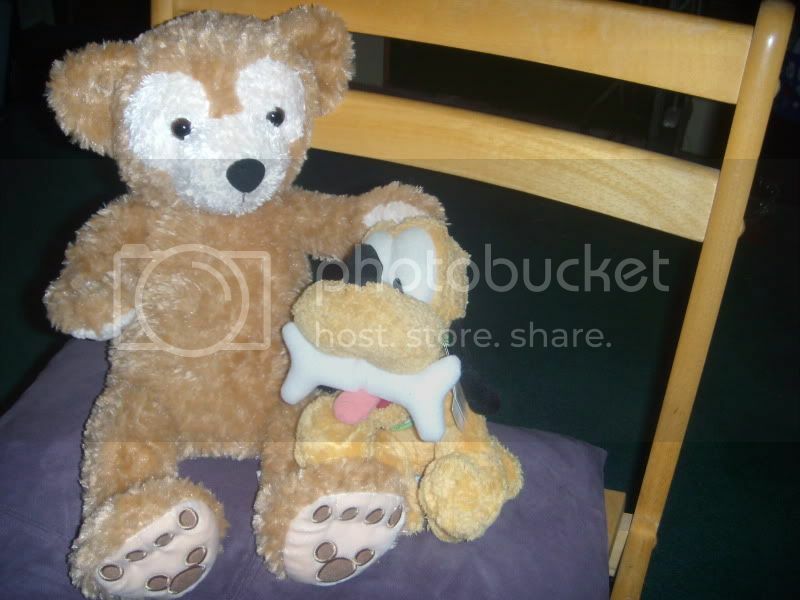 Well, I dug up the old photos I took when I first got my Duffy. 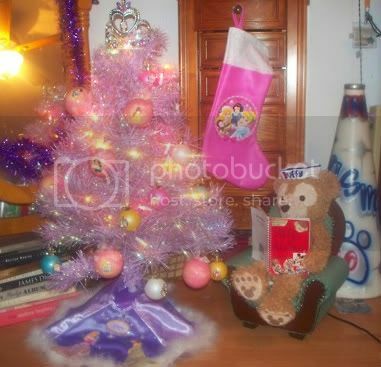 I had them on Photobucket, but they got deleted, so I just uploaded them again. So, here are some of my favorites from those. Duffy's out of the box! Mickey and Minnie show up to greet Duffy. Duffy surveys his new home. I mean, really, give him some privacy, please! 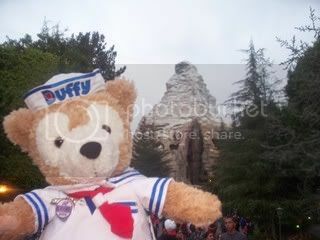 Duffy wants to take my picture now. These pictures are of Duffy's first trip to the woods. He had a lot of fun. Hey, it's a country cousin! Let's do a little gardening. Feels great to be an outdoor bear. gurgi, those pictures are beyond adorable!!!! Thanks for posting, flylikadove! I :love: the one with the (Brother Bear?) bears! I remember that one riding Indy from when we first "met!" Malice, yay! Good to see you on these threads. Any friend of Drossel is a friend of all! Gurgi, as usual, these images are wonderful! 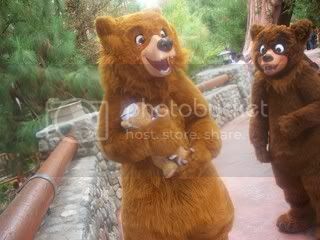 I wish I had someplace to shoot Duffy without so many pesky witnesses. Great photos everyone. Thank you for sharing. This is a fun thread. 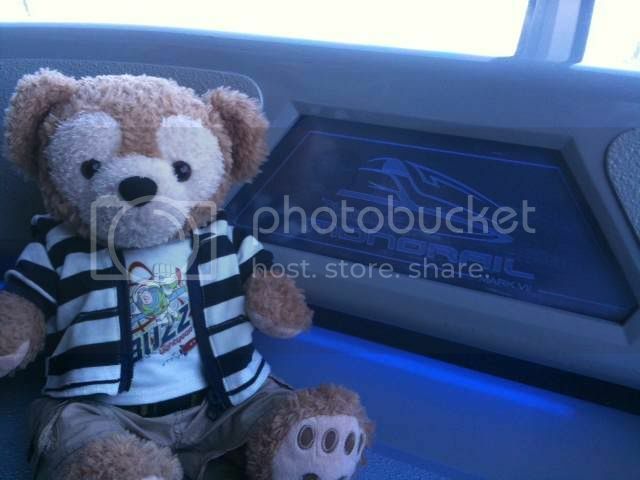 FutureImagineer183, I didn't even know Duffy sold out at DCA. That is cool news. I like to hear that. And thanks for the heads up that DCA may have different looking Duffys. I'll check it out. Forgot to upload this yesterday. 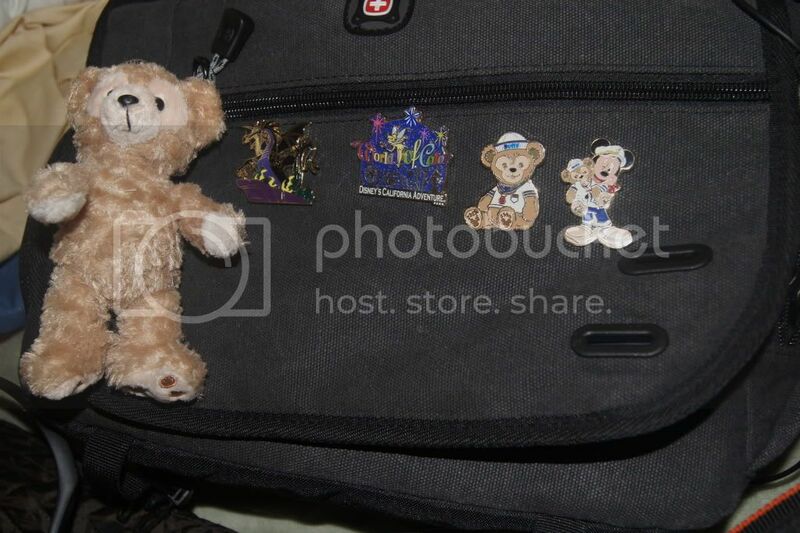 The Duffy Pins and the keychain are now part of my Sony DSLR bag! 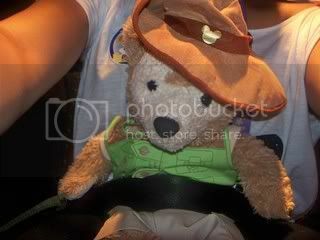 In 2 months, i'll be making a road trip with my parents to Las Vegas, I'll be sure to bring Duffy with me! 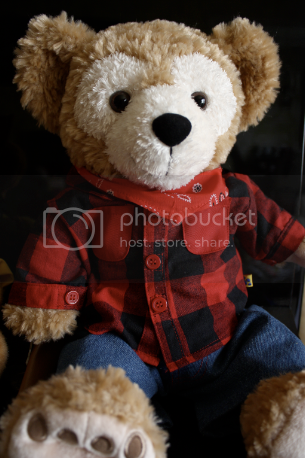 I can't wait to see the pictures you take of Duffy in Las Vegas! I request one of Duffy in front of the Bellagio fountains. 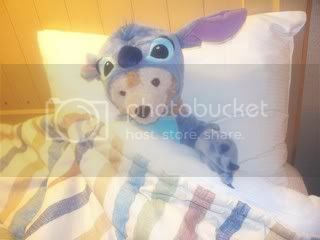 Last edited by stevo505; 01-14-2011, 08:39 PM. 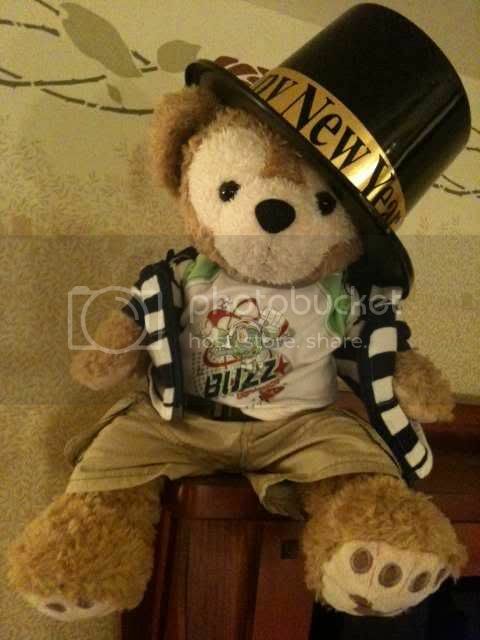 [QUOTE=stevo505;1056394804]I can't wait to see the pictures you take of Duffy in Las Vegas! I request one of Duffy in front of the Bellagio fountains. I'll be sure to do that! Can't wait. Good to see this thread taking on a life of its own. So many funny and well thought out pictures. I'm out in London myself next month for a couple of days. 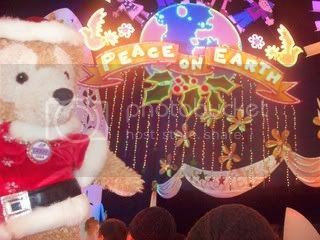 May be an idea for another photo album, Duffy's visit to London, seeings sights such as the Houses of Parliament and Big Ben, London Eye and maybe even Buckingham Palace where Duffy may meet Royalty. 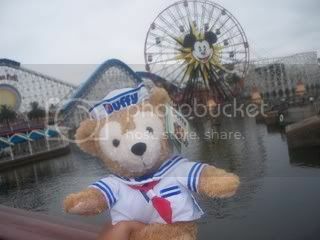 I will probarely take one of the smaller 12 inch Duffy's with me since I'm very protective towards the 17th inch Duffy. 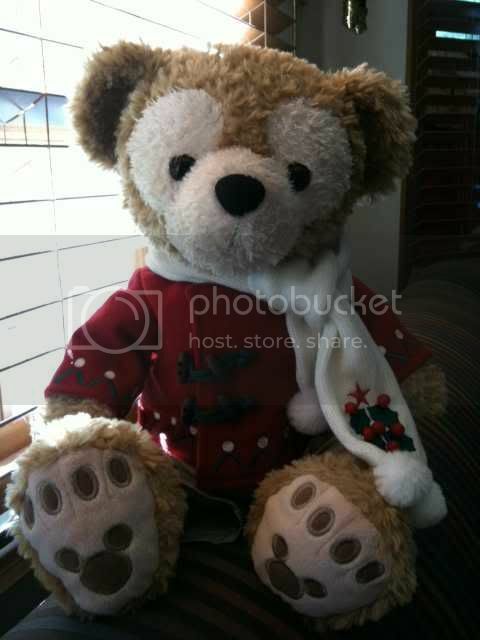 Im here at DL right now with my Duffy. Ill have plenty of pics tomorrow! Love those pins so much, I wish I could find them! my new avatar, Duffy and Duff reading micechat! This set is like a mini-TR in itself. This is his first time back since I bought him back in October. He wanted to see the animals at Thunder Ranch. He took a peek of my lunch. In line for PFF. This was the first time I had a backpack at the resort. He tried to watch some cartoons. He was watching the little critters getting Mickey's Carrots. 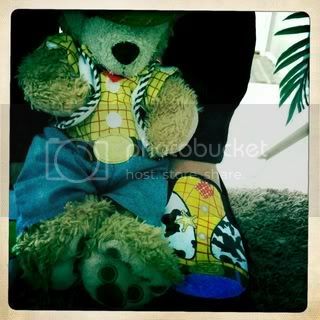 An adventurer with his Duffy watching his back. Funny enough, Mickey was in his band concert costume the first time I brought Duffy to his house. I'll have more coming up today!